Recently I received a real Dear Laurel note asking about staircase design and decor. We recently discussed long hallways and home builder gaffs which included entries and staircases. Therefore, staircase design is a natural topic of discussion. The word staircase originate in the early 17th century. Don’t you adore old architectural drawings? This is a fragment of the amazing grand stair case at Le Petit Trianon at Versailles. Louis XVI had it built for his mistress Madame De Pompadour. However, she died before it was complete. Today, a section of the ornate railing. Photo by Stacey Bewkes of Quintessance. There are more gorgeous photos from the palace in the link. Frankly my dear… You’re coming with me! I get a little dizzy when I look at this but it’s because of me not this exquisite architectural gem. Time to abandon, the extraordinary for the three “are you kidding me? examples to avoid in staircase design and decor. Not only does it look hazardous, it has to be the ugliest thing I’ve ever seen. No, I was wrong. This is uglier. A proper runner or nothing. Please. I think that staircase could use a little mowing. What do you think? Seriously, though, I have seen this in people’s homes. What do you do if there is no finished tread? You can buy tread and riser covers to make a proper tread and then you can put down a lovely runner. We’ll get to that in a sec. haha. BTW, I did change some of these to get the biggest gag-effect. They really do sell these decals on Etsy! I’m sure I’ve left out something. Please let me know in the comments about any staircase abominations you’ve come across. I love the look of this all white banister and rail. However, the reality is that the rail is going to get a lot of abuse. So, if you want to do this, it would take a lot of work to get a nice solid finish that’s less apt to chip. This all black staircase is chic as hell IMO. Black is a trend in staircase design that I think has some legs. The question is: Can you paint a narrow back staircase a dark color? YES! You can as you can see how fabulous this is, but— it has to make sense and the lighting needs to be very good. I can’t possibly do a post about staircases without putting in my very favorite one in the entire world–in my favorite hotel. The JK Place Capri. 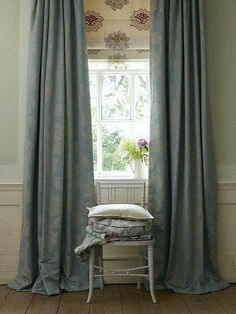 For those not in the know, the style is Chinese Chippendale after the cabinet-maker, Thomas Chippendale. In the late 1700’s was the time when Chinoiserie became wildly popular in England and France. Meg Braff’s equally gorge Chinese Chippendale railing in white. More black stairs. Love the ebony herringbone floor too. Alright. Gorgeous staircase. Gorgeous! But, sisal stair runner. Looks great doesn’t it? Don’t do it. It’s slippery and it stains. I repeat. It’s slippery and it stains. Although, I do see it in magazines like the above for instance. I don’t see any blood. Maybe it’s alright. Anybody? I’ve never used it because I’ve always been told that it’s slippery and it definitely stains! Please note that the above runners are in the waterfall style installation. A mostly wool and sisal blend. Just plain wool or nylon. There are also wool and sisal blends that look like sisal but are not slippery. This is called a Hollywood installation. Actually, I did not know that term. I always just called it the one that wraps tightly around the stair tread. With most stair runners, there should be about 3-6″ of wood showing. More than 8″ and I think it begins to look funny unless it’s a super wide staircase. But please no six foot wide staircases with a 27″ wide runner. That looks incredibly dumb. Beautiful neo-traditional Foyer and staircase by Bear Hill Interiors. Live the crisp tailored work and mill work. It’s the before for the Traditional Home Showhouse 2014 created by Eric Ross. He’s a facebook friend designer who I just finally met in person at the Design Blogger’s Conference. He and his lovely wife Ruthanne run the business together. Did you know that you can have wallpaper laminated? The person who wrote in said that she needed something super durable. Well, there is the answer. I love Schneider Banks in Texas, but there are other places that will laminate your wallpaper so it can be cleaned easily. Some wallpapers are wipeable but not laminated. Then, there are some beautiful high-end vinyl papers that are super practical and great looking. The above wallpaper is David Hick’s The Vase- available through Clarence House. I just heard his delightful daughter, India Hicks at the Design Blogger’s Conference. Not only is she insanely talented, she’s screamingly funny too! Great speaker! Everything below is from Thibaut. Some of the vinyl coverings look just like grass cloth. Whimsical, colorful entry and staircase. 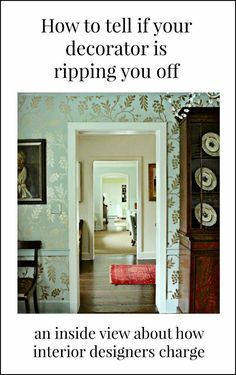 It depends on the dining room but sometimes I really love not to do a rug. There’s a dining room in my portfolio with green wallpaper without a rug as an example. It just won and award for best dining room in a contest sponsored by Westchester Home Magazine. 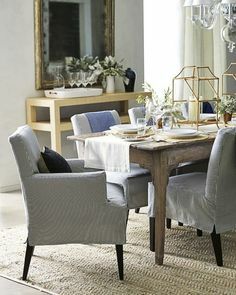 My favorite material for dining room rugs is seagrass. They are very durable and practical and inherently stain resistant, not to mention great looking. Spot on. Great pun although I’m sure unintentional. Seagrass, however, is the opposite. It’s great looking and very practical. It repels stains and is easy to maintain. 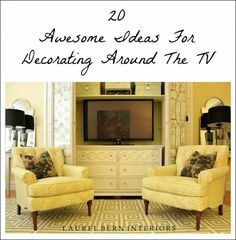 I have subscribed to your blog but as far as I know I have not received the Get Your Paint Colors Right the first time guide. Could you please check on it? Oh, I love that Jane. And I love doing it for my clients too. Those are cherished pieces and it’s so wonderful to keep them and then hand them down. Thank you for such a kind comment! that sounds beautiful. I just pinned this gorgeous railing from Stacey Bewkes blog, Quintessence. Here’s the post. The only situation where I would do wall to wall is if there is a wall on both sides and the stair case is quite narrow. Usually, that’s confined to back staircases and those going to the basement. If it’s open on one side, there’s just no way to finish it off if completely covered other than wrapping it around the tread as with the grass carpet. You can still have a very cushy runner, just will have a wood margin. I think it’s a more elegant look for most staircases. Of course, if there’s no finished tread and riser, you would have to have that done. There’s a link in the post for one company that provides that. I can’t vouch for them either. Hi Heather! I enjoyed meeting you too! That was a fun evening we had and I’m so glad it was arranged. Such an amazing and informative post. Thank you, Laurel! Staircases don’t like me, and the feeling started to be mutual, lol, so all the information is highly appreciated. I’m in awe of these hand drawn details. I was at the exhibition once..Getty museum, the exhibition was of hand-written and hand illustrated prayer books of medieval times. I remember this exhibition very vividly ten years later. Great talent never ceases to amaze. I just painted my railings white and the base and handrails black. That first picture you posted of the all black staircase made me drool. I’m thinking of repainting my rails black now. Are there any no-no’s with that? I am worried about balance because all my trim is white. Thanks Teri. Without seeing the entire situation and what else is going on architecturally and with colors and furnishings, it’s impossible to say whether it’s a good idea or not. Very timely article for me as I’m literally in the middle of building a house and am befuddled by what to do with the staircase. We have a 5″ wide with a 90 degree turn ( it goes to a finshed walkout basemnt) 1/4 way down with a landing. First question, i assume “hollywood” style carpet tack down is preferable to waterfall, just confirm. I currently have waterfall in my house and i always wonder what lives in the little tent formed by the waterfall….feaks me out! I have a huge tall wallspace to contend with viewable from the dinningroom which has a railing and overlooks the stairwell. Its also viewable from the front door. So the wall is important and wallpaper sort of scared me. I toyed with stone, but too late in the building process for that. i’m toying with contemporary wood veneer panel as an idea. Just basically flumoxxed! I agree wholeheartedly on the first two points. The third point in most cases, yes. I think the black stairs only works in old homes and mostly in a more urban setting. The other problem I forgot to mention is that a dark floor is going to show every speck of dust, footprint, etc. Definitely a runner for the stairs. I have been contemplating between painting my bannister and interior doors all black, using a Java/expresso stain, or painting BM Hasbrouck brown (BM claims it is the color of polished mahogany). Since I don’t live in an old or urban house (country House built in 1993), that helps me eliminate the black. Perhaps dark stains or other dark paint colors would be an option for those of us not in old or urban houses but who love the drama of the black staircase. Thanks for another great article that informed and made me laugh. You have a talent for finding the most hilarious examples of interior design gone wrong! I’m not sure if I would do the dark brown colors either. In fact, I think black would be preferable. It really depends what else is going on. But of course, it’s impossible for me to know since I can’t see the situation. I think if you’re going to do dark colors on doors, it needs to be balanced out by a pretty deep color on the walls. It may not be the look you’re going for. Thanks Laurel!! I’ll check out Pinterest. Laurel – great post as always. Do tell the source on the grass cloth ( dare I say vinyl ) papers. I like the pale blue/wheat colored heathery one best. There are some stunning commercial wall papers that I would have directed to this inquiry. Since they are 54″ wide there are less seams to brush against and a Type II would be ideal for her situation. MDC Wallcoverings & DL Couch both are favorite lines of mine having gorgeous upscale designs that I use often in high traffic residential applications. Many thanks for the great blog posts!